Life is all about change. This is just as true when we’re adults as when we’re children. Anything new requires a period of adjustment, including dentures. If you’re having trouble using yours comfortably, then you may need to give yourself a little time to adapt. 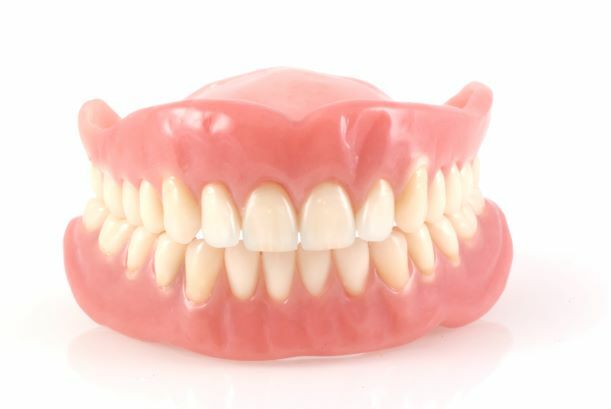 Wearing dentures means doing things differently than what you may be used to. Take eating for example. You might need to adjust your diet or prepare your foods differently, such as cutting portions up into smaller sizes. Speaking while wearing dentures may take some practice as well. Try pairing up with a long-time denture wearer who can offer some helpful tips. Performing these basic tasks will soon become second nature. There are many reasons to use a good name-brand dental adhesive. First, it can help you to feel more confident while wearing the appliance. Second, it can form a seal that helps to prevent food from getting caught between the denture and your gums. Third, it can prevent slippage during meals, social occasions, and interpersonal interaction. That being said, adhesive does have its limits. For example, it can never compensate for a poorly fitting prosthesis. If you continue to have denture-related discomfort, then make an appointment to see your dentist. You should never use denture adhesive if you have open cuts or sores in your mouth. Dirty dentures are unpleasant dentures. You should use a manufacturer-approved cleanser as directed. You should also keep the product immersed in water overnight. Otherwise it may warp or lose its shape entirely. Many of the problems associated with traditional dentures stem from the fact that they’re a non-permanent part of your body. Your natural teeth not only help you to speak and chew food, they provide needed stimulus to the bones in your jaw. When this stimulus is absent, bone resorption and facial change can result. Freedom from bone loss. Because dental implants fuse with the surrounding bone, they prevent the resorption problems that can occur with other forms of dental restoration. A full and active lifestyle. Implant-supported dentures keep their place. They will never come loose unexpectedly. Yet you can remove the appliance any time you like for cleaning or other purposes. It’s like having the best of both worlds. Peace of mind. Implant-supported dentures allow you to carry on your normal activities with full confidence. This is a big advantage for people who interact with others on a regular face-to-face basis. Whether traditional or implant-supported, dentures can be part of a healthy lifestyle when they receive their due care. Use the tips in this post to make them work for you. We wish you nothing but happy smiles, both in the new year and beyond. Dr. Les Latner earned his dental degree from Washington University in St. Louis. He served as the team dentist for the Bruins for many years before opening his private practice here in LA. You can reach his office online or by calling (310) 477-1081.